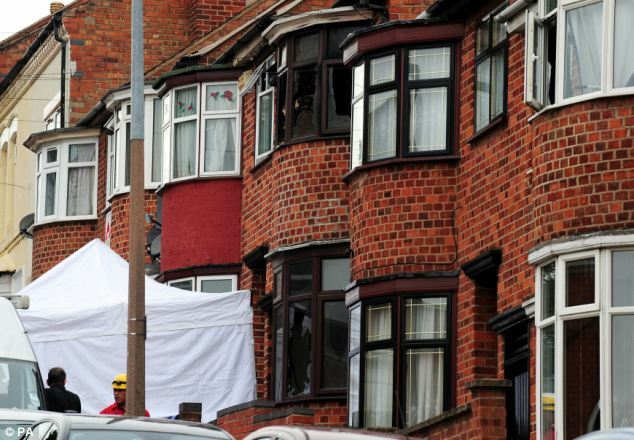 Five people have been arrested in connection with a suspected arson attack which claimed the lives of four members of the same family. 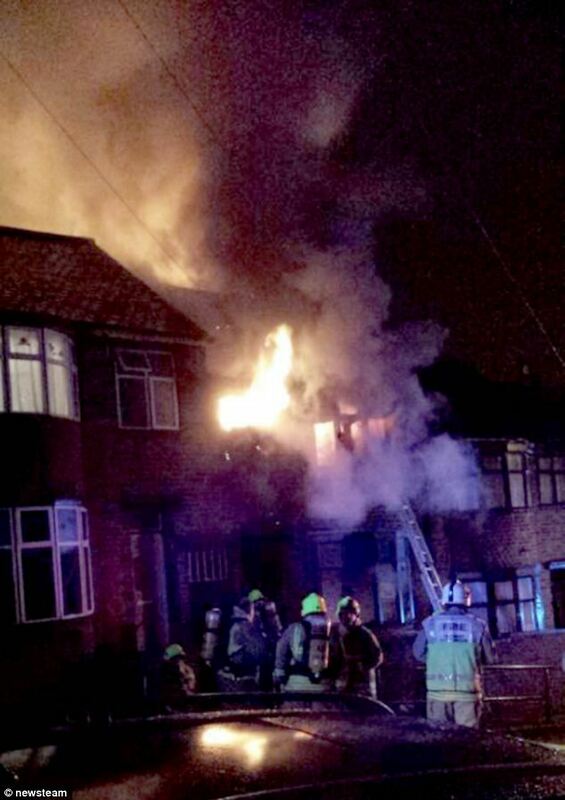 Shehnila Taufiq, 47, her sons Jamal, 15, and Bilal, 17, and 19-year-old daughter Zainab all died in the house blaze in Wood Hill, Leicester, early on Friday. It is feared that the property was targeted by mistake in a revenge arson attack following an earlier incident on Thursday in nearby Kent Street when a man was murdered. 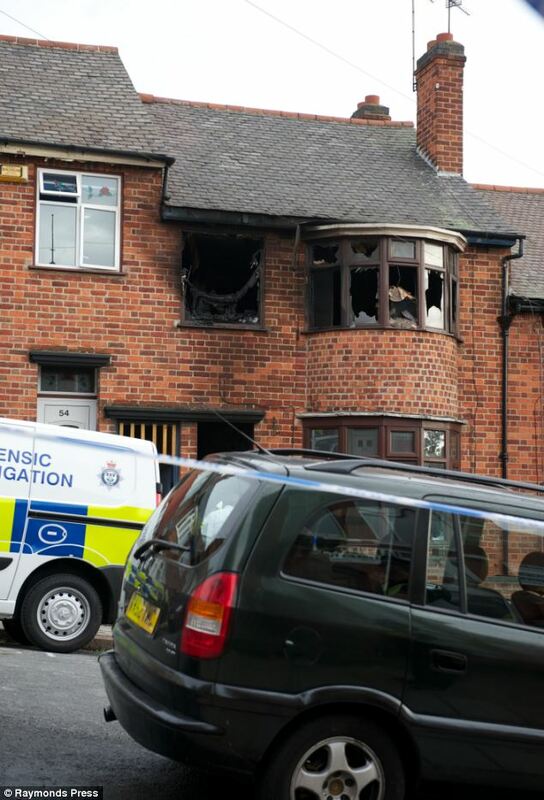 News of the arrests came minutes after Muhammad Taufiq Al Sattar spoke of his pain at the loss of his wife, daughter and teenage sons in the fire at their home in Wood Hill, Leicester, in the early hours of Friday morning. 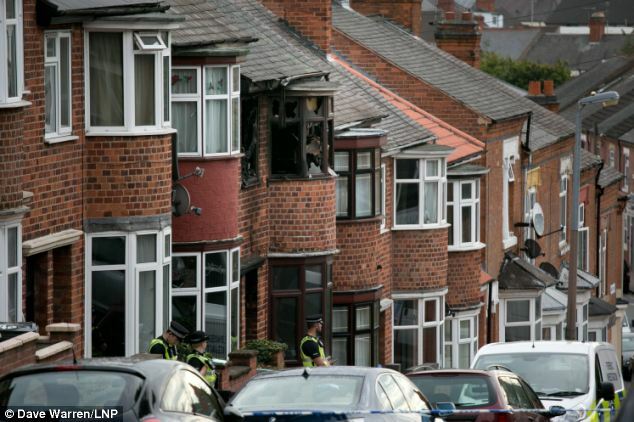 Leicestershire Police said three women aged 19, 20 and 27 and two men aged 19 and 49 were detained over the fatal blaze. 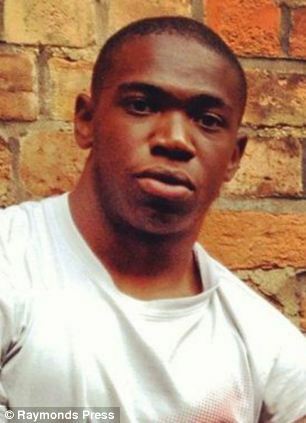 Two men and a woman, all aged 19, have also been arrested over the killing of the man in his 20s, named as Antoin Akpom. Earlier today police confirmed there was no evidence Shehnila Taufiq, 48, and her three teenage children Zainab, Jamal and Bilal, had been involved in the nearby murder of a 20-year-old man. Dr Muhammad Taufiq Al Sattar, who flew back from where he had been working in Ireland following the fire which killed his family, has today said: 'I deeply miss my beautiful wife and three beautiful children. Officers are continuing to investigate possible links between the two incidents, but Assistant Chief Constable Roger Bannister today said there was 'nothing to suggest' the family had been linked to the earlier attack. 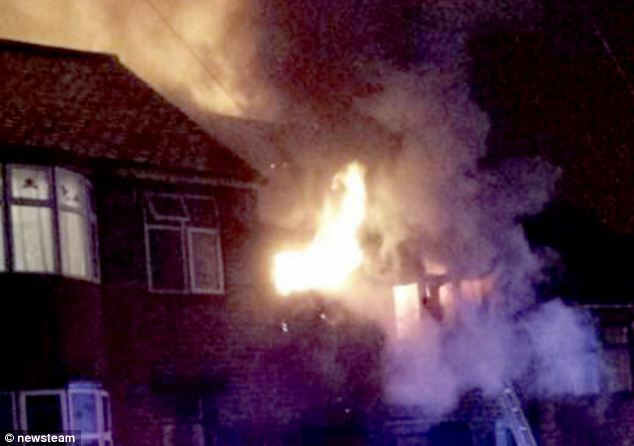 He said: 'While we are investigating links between the two crimes there is absolutely no evidence to suggest those who died in the fire, or indeed anyone else who lives in that property, was involved in the assault in Kent Street. 'Because of the close proximity - in terms of time and location - of the two incidents, it is right that we look at whether there are links between the two crimes. Two women and a man, all aged 19, have been arrested in connection to the attack in Kent Street. Police said the man was arrested in London while the two women were arrested in the Warwickshire area. The devastated husband and father of the family, neurosurgeon Muhammad Taufiq Sattar, was working in Dublin at the time, but has now returned home and is being comforted at his local mosque. 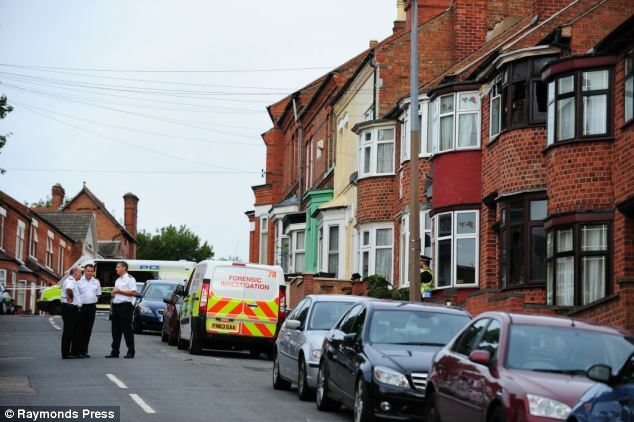 Mrs Taufiq, her 19-year-old daughter and her two sons, aged 17 and 15 died in their bedrooms at their terraced house. 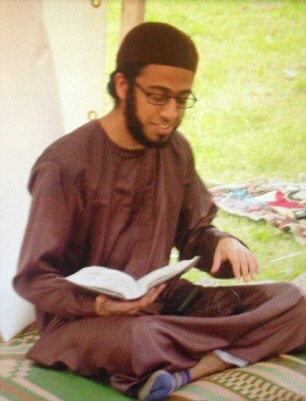 The Islamic teacher was heard screaming 'please save my children' by witnesses to the fire in the early hours of Friday. On returning to the city, Dr Sattar, 52, immediately went to the Jamia Mosque, just around the corner from his burned-out family home, where he was embraced by shocked members of the community. 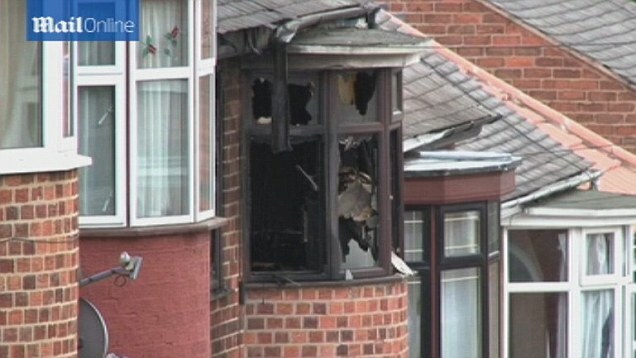 Neighbours said they fear the family were mistakenly targeted in a revenge attack for someone else. Mr Bannister today said: 'We have three people in custody in relation to the murder of the young man in Kent Street and we continue with the complex forensic investigations at Wood Hill. On Friday, Mr Bannister said officers were investigating a theory that Mrs Taufiq and her children were killed in revenge for the earlier attack. Urging witnesses to get in touch, he said it was possible that both offences, which he described as 'terrible, terrible crimes', were linked. 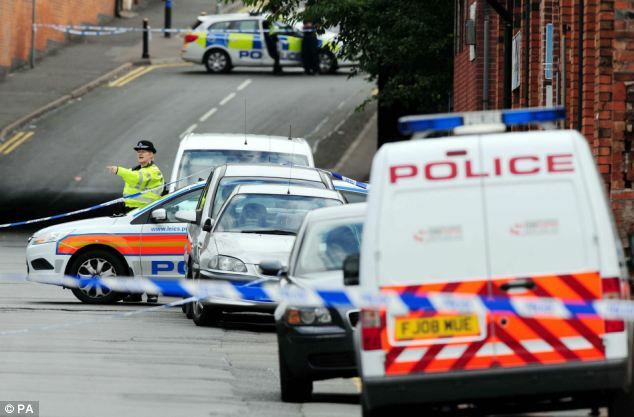 People at the scene with the man who was killed in Kent Street – named locally last night as Antoin Akpom, 20, a father of one and former football coach – were said to have been heard vowing revenge on the person responsible. There were rumours that a group of hooded men had been seen walking away from the house shortly before the blaze took hold. Neighbours had tried to break into the property but were beaten back by flames. Leicester East MP Keith Vaz later met Mr Sattar and said he was ‘understandably devastated’. 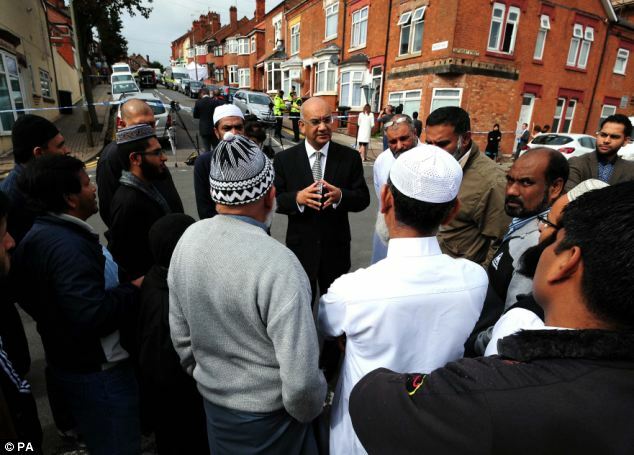 The member for Leicester East, met local people near the police cordon sealing off Wood Hill. Mr Sattar and his wife moved to Manchester from Pakistan before settling in Dublin around 15 years ago. They own a house there and had planned to settle in the city when their children had finished their education. Mr Sattar worked at Dublin’s Beaumont Hospital, and also practised privately at two clinics in the city. 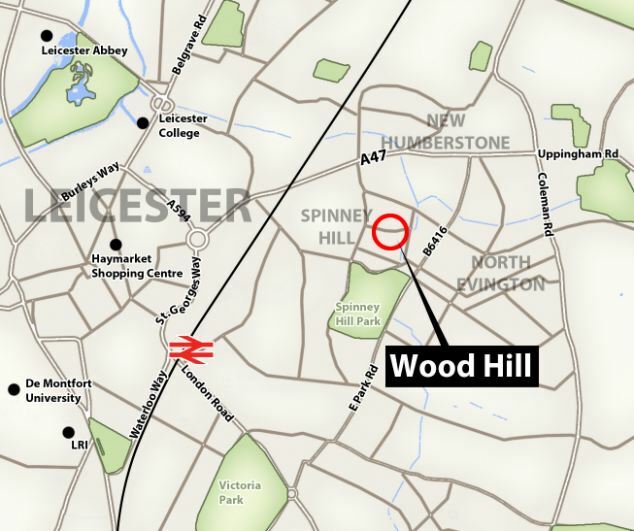 The family bought their Leicester property in 2007. 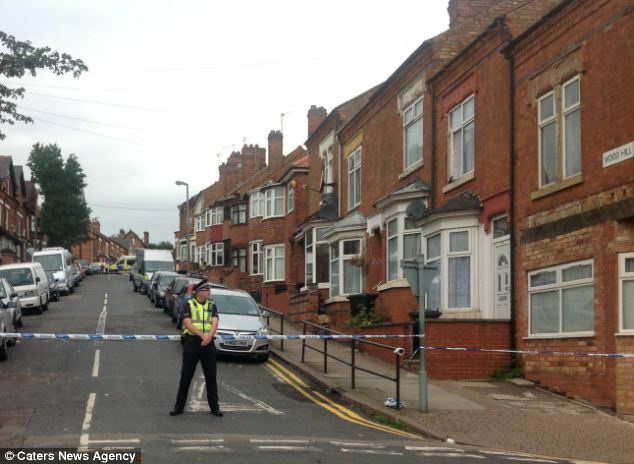 A witness to the earlier murder in Leicester’s Kent Street on Wednesday evening said he had heard someone vowing to take revenge against the killer. The Jame Mosque attended by the Taufiq family issued a statement expressing shock at the deaths. Mr Sattar is a consultant neurosurgeon and has been working in Beaumont Hospital in Dublin and with private hospitals in the city, the Blackrock and Hermitage clinics. Colleagues at Beaumont Hospital, Blackrock and the Hermitage expressed their sympathy. 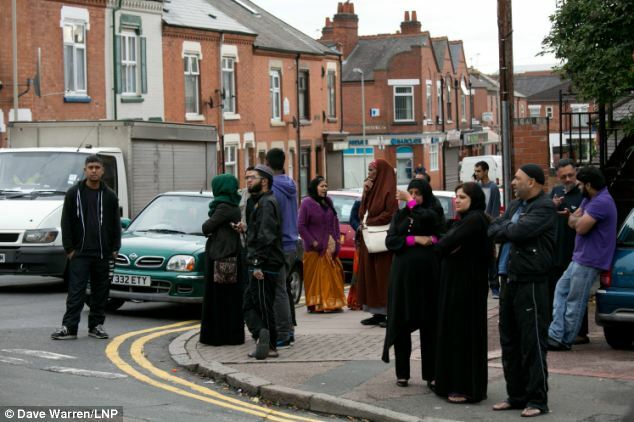 Leicester-based Imam Ibrahim Mogra, assistant secretary general of the Muslim Council of Britain, visited the scene. The force has drafted in extra officers and forensics staff to probe both crimes and increased patrols in the area. Police said the victim of the Kent Street murder had not yet been formally identified. Police said in a statement: 'The whole area is being carefully examined which may take some time. 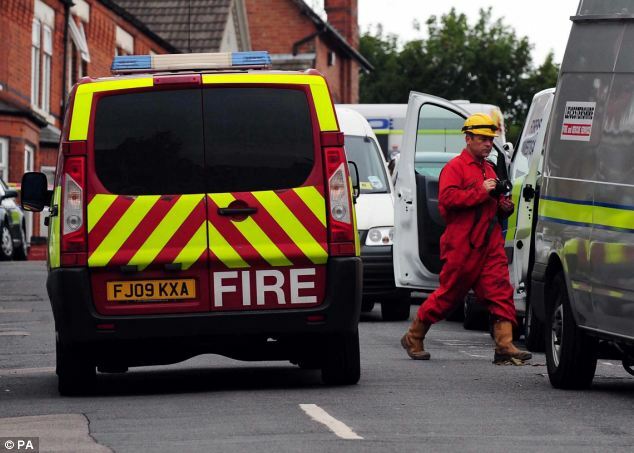 A middle-aged man, who was woken by the sound of neighbours attempting to alert the family, said the heat of the fire was so intense it could be felt on the opposite pavement. A witness to the earlier incident described how he saw the victim collapse in the street after a row involving more than a dozen young men. The man, who did not want to be identified, said: 'My attention was caught by a lot of shouting in the street just before 5.30pm. 'I then saw two young men run down Kent Street towards the A47. A group of up to 15 young men then started walking down Kent Street and turned into Sussex Street. 'It was when he turned his back on me that I saw that he had been stabbed just under the shoulder blade. 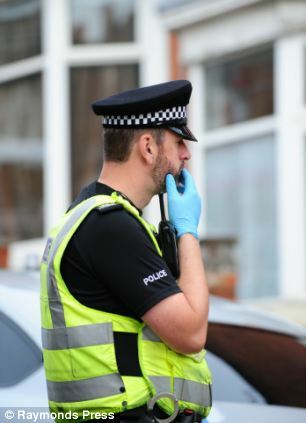 Police chiefs and community leaders, including local MP Keith Vaz, have appealed for calm following the 'terrible crimes', and extra patrols were laid on to reassure worried locals. 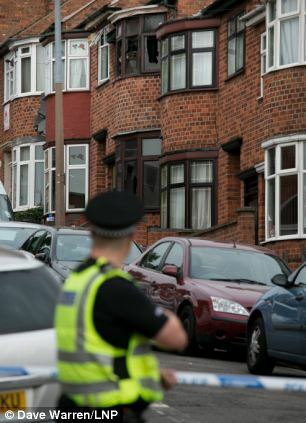 Witnesses have described the desperate attempts to rescue the family who were found in an upstairs bedroom inside the £99,000 mid-terraced house. 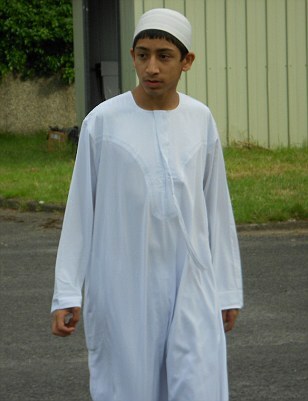 Student Mohammed Ali, 19, rushed out of his house on the street when he heard people screaming for help from the upstairs bedroom window. He said: 'I ran out of my house because I heard lots of people running and windows being smashed. 'People were throwing stones at the window to try and break them to help, but the smoke was so thick and just poured out, it was so thick it was unreal. 'When I got there the fire service was there too, they had kicked the door down, I could see in the house. 'The way the house is built, the stairs are right at the door as you go in, I saw the stairs engulfed in flames, everyone was screaming, it was like something from a horror movie. 'All the windows were on fire, all of them, the smoke went everywhere, everyone was panicking and trying to help but they couldn't. Diogo Mascarenhas, 78, a neighbour, said: 'There were flames shooting out of the back of the house into the yard which I could see from my bathroom window 40 yards away. 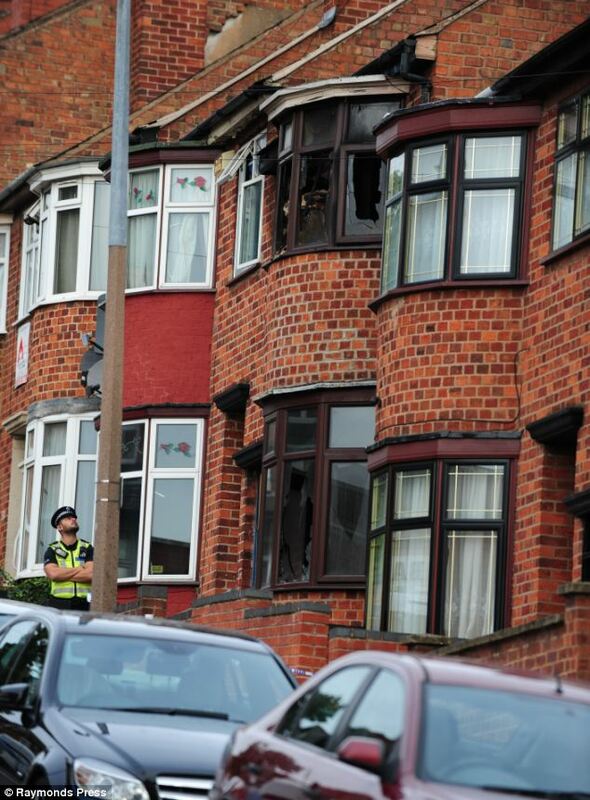 'I looked outside and saw lots of people watching what was going on, the fire brigade, the police and ambulance.